I only needed to see the video preview picture to gasp and frantically click the link and wait an unbearable 30 seconds of advert before it would begin. 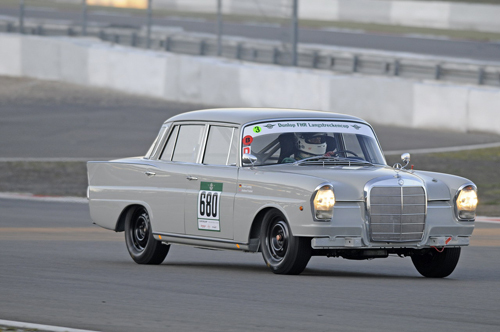 This video features David Coulthard teaming up with Chris Harris to race a classic Mercedes 220 Fintail around the Nurburgring. The car is pretty standard apart from upgraded suspension, and with 140-bhp to shift its 1400KG mass, I was a little surprised to see Chris Harris’ disappointment when Coulthard said it was useless going up the hill – what the hell were they expecting? I think it looks amazing, and with those black wheels it conveys a look of menace, something very street car. 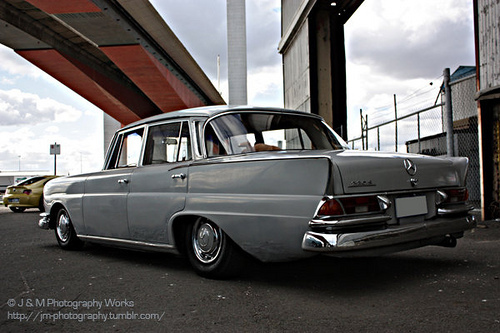 I’d love to cruise around town in one – I adore old school Mercs, having owned an E220, a 260E and a 190E. Perhaps they should fix a light to the Fintail’s roof and use it as recovery car. 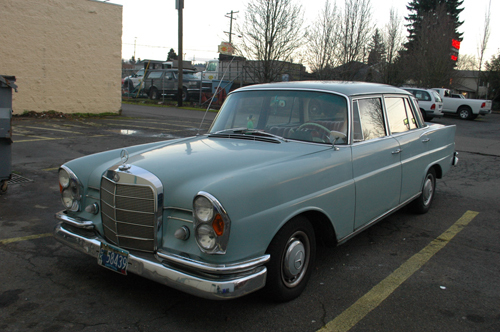 If I crashed out, I’d like nothing better than to cruise back in such an old luxurious classic. 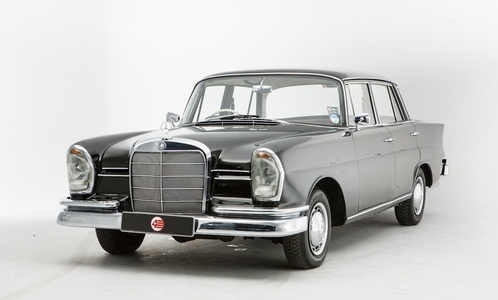 This glorious car also ticks all the boxs in the modern era for modification. Because of its classic looks and fintails, it works very well as a lowrider.